Oh, how time flies… passing by like a bird in the night. 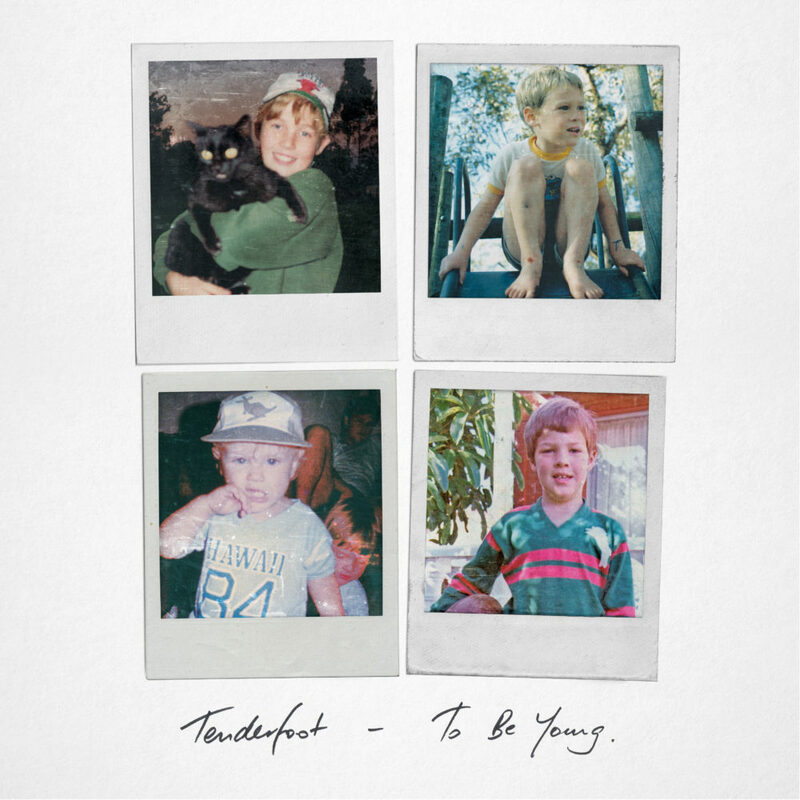 Tenderfoot’s debut album is the kind of record that takes a lifetime of experience to create: Fiercely reflective and hauntingly intimate, To Be Young captures life’s highs and lows through passionate indie rock reverie and heartfelt folk nostalgia. Released June 1, 2018 via Audio Network, To Be Young immediately hits home with an irresistibly cathartic musical journey. 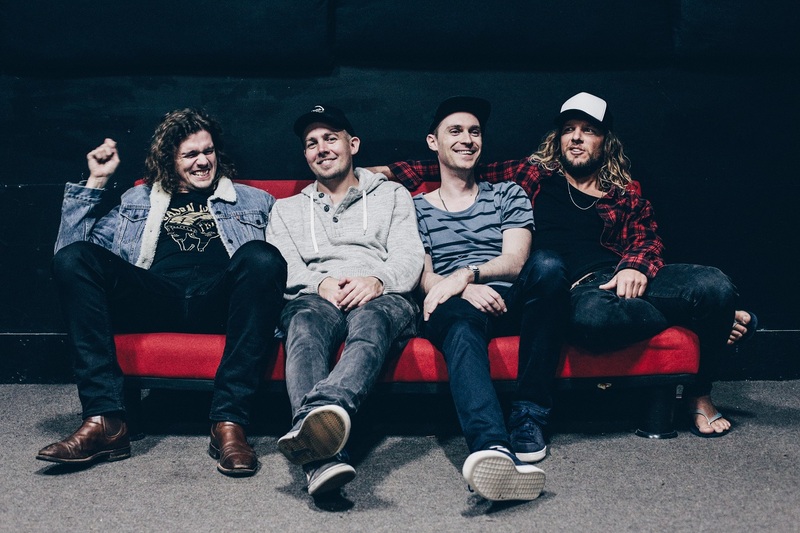 While the debut album is likely to be most listeners’ first exposure to Sydney, Australia’s Tenderfoot, the band’s openness and sincerity make them feel like old friends: The sort of folks with whom you can pick up right where you left off, without ever skipping a beat. Such authenticity is hard to come by these days in people, let alone in a full-length album – but that’s what makes Tenderfoot truly shine, helping them rise above the noise. The band lays it all on the line in a poignant, poetic outpouring of emotive music and timeless sentiment. Lead single “The Balance” opens the album with a vibey, somber warmth – a term we could use repeatedly to describe the whole record. “And it comes like this, and it goes like that; you can buy friends, but not your lovers,” Vella sings in the pre-chorus, striving to find the right foothold on life. We all stumble and trip, thinking we’re on the right path only to find we’re going the wrong way, or going nowhere at all. The band brightens up on “Burn It Down,” fueled by an emphatic brass section that arouses our spirits and calls us to task. A significant amount of To Be Young was orchestrated and recorded in London’s legendary Abbey Road Studios. It’s one of those once-in-a-lifetime opportunities that Tenderfoot made the most of, infusing almost every track with live brass or strings to add depth to their already-stirring songs. This is perhaps no better seen than on the moving ballad “Self Worth,” an epically intimate opus whose second half features a full orchestral accompaniment slowly rising, glowing brighter and more majestic toward a crescendo that never quite comes. But instrumentation can only work well if the songs themselves are good. Thankfully, Tenderfoot’s songwriting is as thoughtful as it is memorable. “Pretty lady with jewelry eyes, but I ain’t no jeweler, and I ain’t go no idea of the price,” Vella chants with a heavy heart in “The Day We Met.” A clever metaphor, the line works even better as an earworm, getting stuck in our heads on repeat. The same can be said of the powerful “Oh How Time Flies,” a pivotal song that serves as a jumping-off point for much of To Be Young‘s nostalgic content. Vella has described “Oh How Time Flies” as a cornerstone moment for himself and for Tenderfoot, and that intensity and importance can certainly be felt in the song’s dazzling radiance. “Oh How Time Flies” reminds one of the wistful smiles one might see a grandparent wearing; the overwhelming weight of life pushes and pulls as the soul is humbled by the sheer magnificence of existence. In many a sense, that’s the underlying ethos of To Be Young: Life is scary, but we persevere. Though we exist in the moment, we carry an ever-increasing treasure trove of memories with us as we grow, each one a vivid part of our past offering brief respite from the present. Whether you’re listening to find meaning in your world, or listening for pleasure, Tenderfoot’s To Be Young will fill your life with light. Listen to their debut, out now, and stay tuned for Atwood Magazine‘s exclusive interview with Tenderfoot – coming soon!